FILIPE LUIS: When do you think he can force his way into the team? 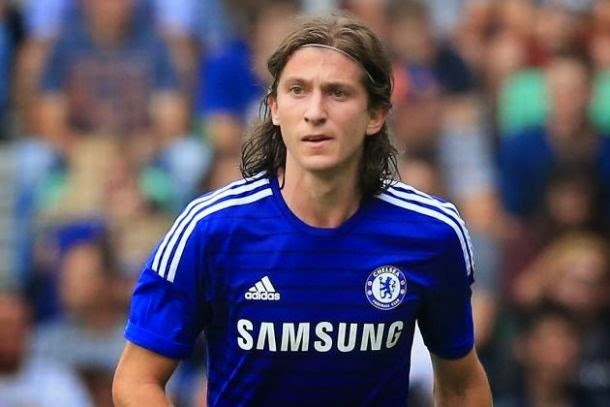 Filipe Luis has been speaking recently of his move to Chelsea and how it feels to be here. The question I am asking is "When do you think he could force his way into the side?" Without question, Cesar Azpilicueta has become an instrumental part of Jose Mourinho's preferred back four and rightly so. Speaking the other day, Azpilicueta revealed a focus on learning the environment and atmosphere when he first joined, a message to Filipe Luis for these weeks where he has had to settle for a place on the bench. Everyone wants to play. If you don't, normally you're not happy. But when I came here, I spoke with Mourinho and I knew I'd come to Chelsea to be a champion, not to be the best left-back or best crosser or something. When you work with Mourinho, you have to know that the group, the collective is above the individual. I don't think about myself right now. This afternoon it looks as though Luis will have to settle for a place on the bench after playing against Bolton in midweek. I expect Jose Mourinho to name the majority of the same team that he has fielded in every single Premier League game so far. So what of the differences between Azpilicueta and Luis? I am of the opinion that Azpilicueta is the better defender but Luis is better going forward, especially his ability to play in fantastic crosses into the box. That seems to be the reasoning behind the managers thinking at the moment. Although Chelsea have had an unbeaten start, we are still conceding goals which is a real concern. As we all know, Jose Mourinho prides himself on his teams defensive organisation and solidity so for me, Azpilicueta is in the side. Luis is more than a capable full back. When do you think he should be given a Premier League start?